Sorry, you need to have Cookies enabled to use this site. 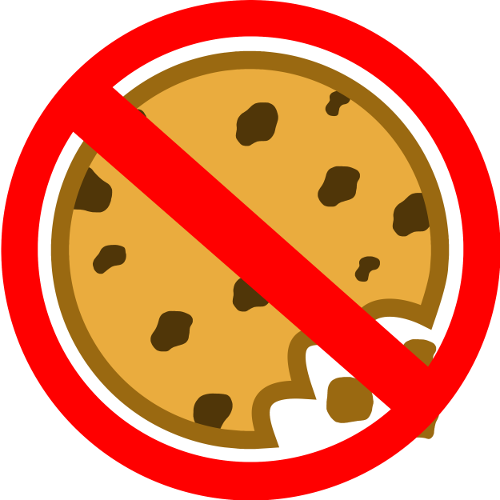 Please enable Cookies and refresh this page. All orders placed through our web site are encrypted during transmission to prevent tampering or credit card fraud. If you do not feel comfortable placing your order online, we encourage you to phone or mail in your order. To order by phone, call TOLL-FREE at 1-800-263-5295. If you have any questions or special requests, just email us at: skicanada@kckglobal.com. YOUR SATISFACTION IS GUARANTEED: If you're ever dissatisfied with Ski Canada, you can request and receive a prompt refund for all unmailed issues. If you're already a subscriber, you can log in to our Subscriber Service website at any time and check (or update) your address, check when your subscription expires, or confirm whether we�ve processed your recent renewal or invoice payment. Just click the appropriate button at left, or the Account Status button to check your current subscription status. Of course, you can also renew online, pay your bill online, order gift subscriptions, and so forth. Looking for your Ski Canada subscription number or expiry date? The number above the name on the address label (just after "SKC") is your subscription number; your expiry date is also shown on your label (for example, "BUY1213" refers to the "Buyer's Guide 2012-13" issue). Issues are mailed about 6 weeks before the "issue month," so be sure to renew in plenty of time to avoid missing an issue. Received a renewal reminder or invoice shortly after renewing or paying? It can take 10 or 15 days for such mailings to be prepared and delivered to you by mail. Because of this time-lag, we wait several weeks before reminding you. But if you replied to one of our notices in the past two weeks, our letters may have crossed in the mail. If you would like to check that we received it, just click the Account Status button here, or call our toll-free subscription line at 1-800-263-5295, or email us. Moving? You can update your address online (click the Change Address button at left), or email us your old address as well as your new address. (Your subscription number—above your name on a mailing label from a recent issue—will be very helpful to us in locating your subscription record.) Because of our advance mailing schedule, please give us as much notice as possible. Stopped receiving Ski Canada? You can log in to check your subscription at any time, with the Account Status button at left. One common reason why delivery might end unexpectedly is when your mail-forwarding order (with your post office) runs out several months after your move to a new address, but we still have your old mailing address on file. But it can also happen if we don�t know your apartment number, or for a variety of other such reasons. Please check the address on a mailing label from a recent issue, and contact our Subscription Dept., letting us know which issue you last received. We can either mail you the issues you missed, or extend your subscription—just send us an email to let us know which you prefer. When will my subscription start? 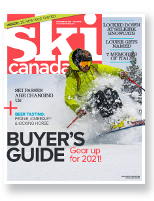 Ski Canada publishes 4 issues a year, mostly in the few months leading up to ski season. If you�re subscribing for the first time during that period, you should receive your first issue within 3–6 weeks. Most readers are particularly interested in receiving our current Buyer's Guide and Travel Guide issues, so we usually send out those issues to anyone subscribing in the next few months after they were published, until we run out of copies. If you subscribe during the summer months, of course, our next issue might take a little longer than six weeks, so we usually send out our Winter issue to new subscribers so they don�t have to wait until the next Buyer's Guide comes out. Whatever the season, renewal orders always start with the first issue after expiry–assuming you don�t wait until the party�s over before renewing (in which case we�ll send you the issues you missed, if they�re still available).